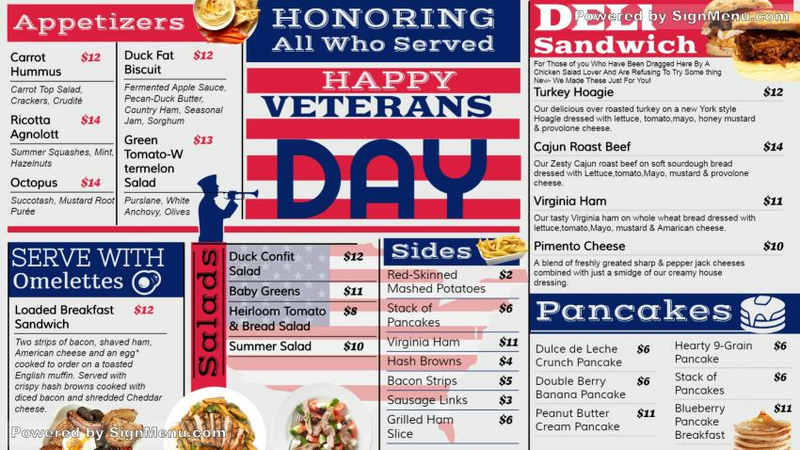 A bright and beautiful menu board with a patriotic flavor and mood on this Vetaran’s Day menu. The white color background with red headers and blue typeface give the board a rareelegance. The menu too is exotic with appetizers, omelettes, salads, sides,sandwiches and pancakes. The graphics at the bottom add to the mood and flavor.